Bob Segner reacts during the roast. 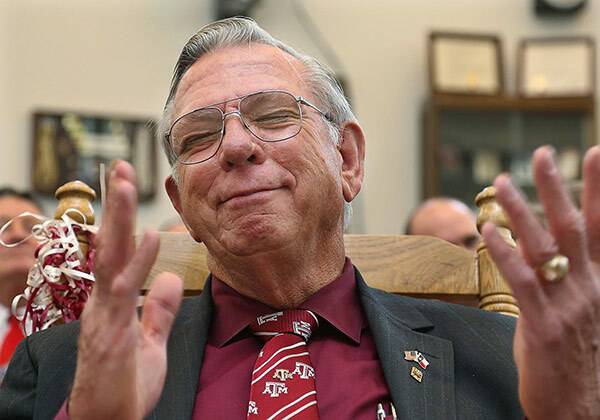 Tales were spun and tributes made during a roast honoring legendary Texas A&M construction science professor Bob Segner, who retired at the end of the 2016 semester after a stellar 46-year teaching career. 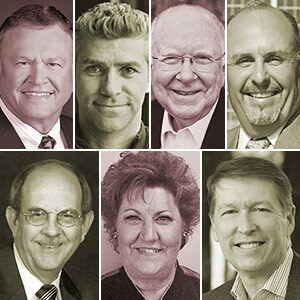 Seven former students from the Texas A&M College of Architecture who have risen to the top of their respective fields while making significant public service contributions will be honored as outstanding alumni Friday, Oct. 14, 2016 at Traditions Club in Bryan. 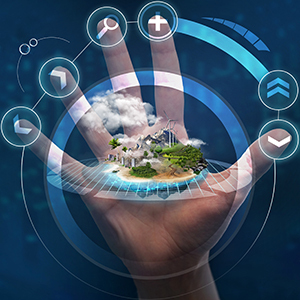 Faculty will talk about their scholarly and artistic work at the college's 18th annual research symposium, "Natural, Built, Virtual," scheduled Oct. 24, 2016 at the Langford Architecture Center on the Texas A&M College Station campus. 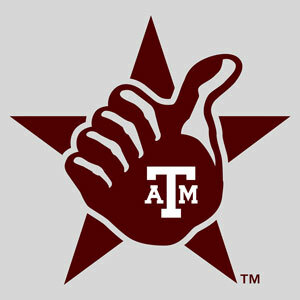 For the second consecutive year, Texas A&M was recognized as one of the nation’s top animation schools, placing third among public institutions and second in the Southwest in new lists created by Animation Career Review, an online career resource for aspiring game designers. 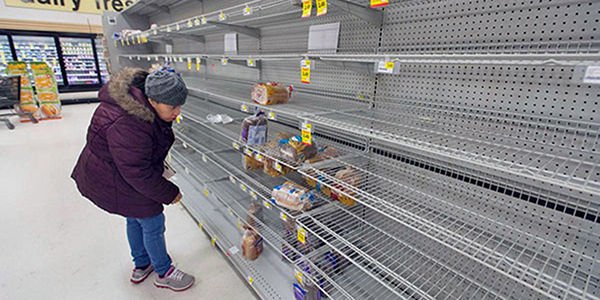 HRRC researchers are part of a four-university project to identify critical links of the food distribution system most likely to be affected by a natural disaster. 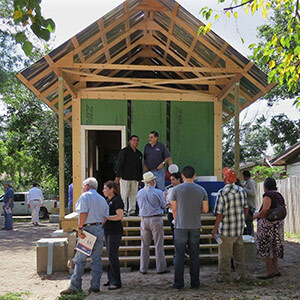 in an exhibit of exemplary design models, the Cooper Hewitt Smithsonian Design Museum is featuring RAPIDO, a pilot housing recovery program developed in part by Hazard Reduction and Recovery Center researchers. 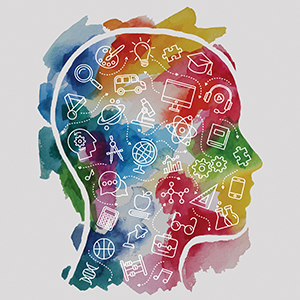 A National Academies' study investigating the value of integrating arts and humanities into science and technology education is a milestone in the global transdisciplinary education movement championed by Carol LaFayette, a visualization professor at Texas A&M University. 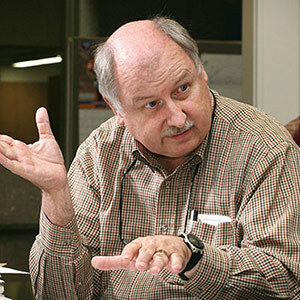 Ray Pentecost, one of the nation’s foremost advocates and practitioners of evidence-based design, is the new director of the Center for Health Systems and Design, home to the world's largest group of researchers committed to healthcare facility environment research and education. 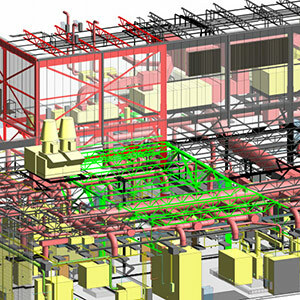 An application proposed in part by Eric Du, Texas A&M assistant professor of construction science, will help construction companies improve their 3-D immersive building models by comparing their development and performance with models throughout the industry. 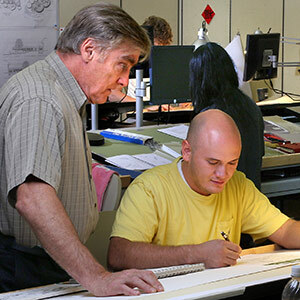 Mark Cuban and Garrett Barker at a design review. 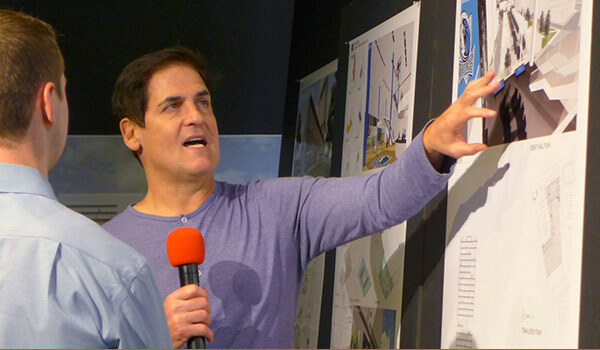 Mark Cuban, owner of the Dallas Mavericks, met with graduate Texas A&M architecture students May 2, 2016 to review their design concepts for the NBA team’s planned multipurpose practice facility. 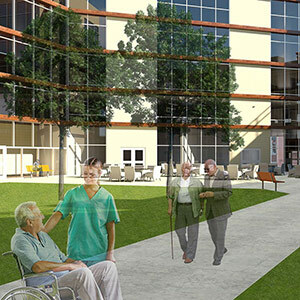 In a spring 2016 studio, Texas A&M environmental design students imagined a new generation of residential facilities for senior citizens in designs that feature walkability and emphasize community and connections with nature. 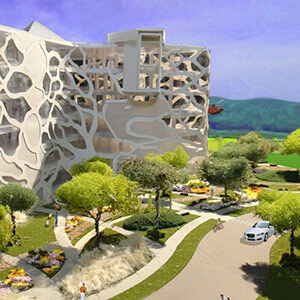 Students presented design concepts for next-generation Kenyan healthcare facilities at a conference in the College Station Hilton aimed at improving healthcare for Africans by creating business relationships and partnerships between people in the U.S. and Africa. 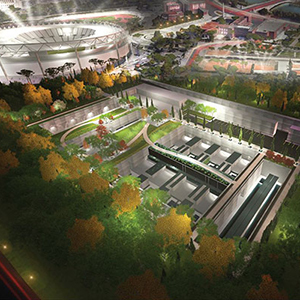 A seven-acre Texas A&M outdoor horticulture laboratory and demonstration space, a major addition to Texas A&M’s West Campus, was realized with the aid of a master plan developed by graduate landscape architecture students. 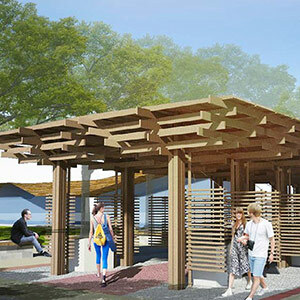 For the green of thumb who gather under tents in downtown Bryan, Texas, every Saturday morning to sell their locally grown fruits and vegetables at the Brazos Valley Farmers Market, a group of Texas A&M students have designed and built an alternative, more stylish and permanent vending space. 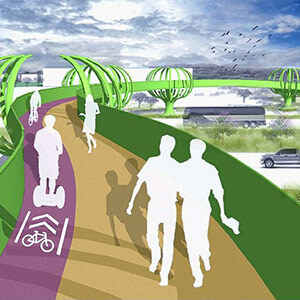 Three master plans by graduate landscape architecture students at Texas A&M turn a historic but mostly empty block near downtown Bryan, Texas into a new Brazos Valley destination. 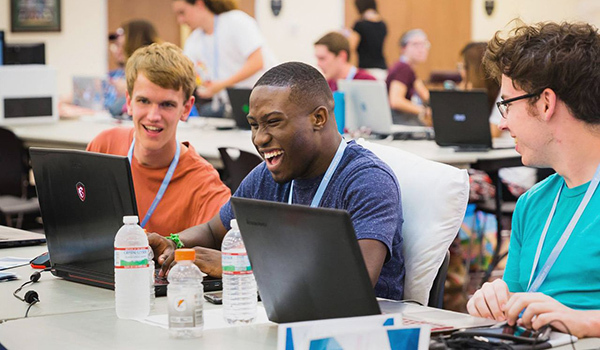 Chillennium contestants develop video games. 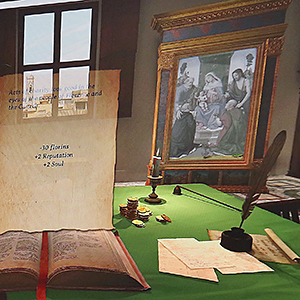 Guests learned how the Italian Renaissance produced some of the world’s greatest art by playing a new video game, "ARTé Mecenas," at a reception hosted by Triseum, the game's developer, led by founding CEO André Thomas, a visualization faculty member at Texas A&M. 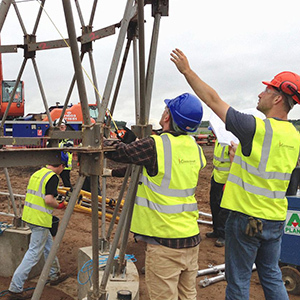 Turning construction theory into practice, Texas A&M construction science students studying abroad in the United Kingdom in summer 2016 built a scaled-down version of The Gherkin, an iconic London skyscraper, in four days on a 15-acre site. 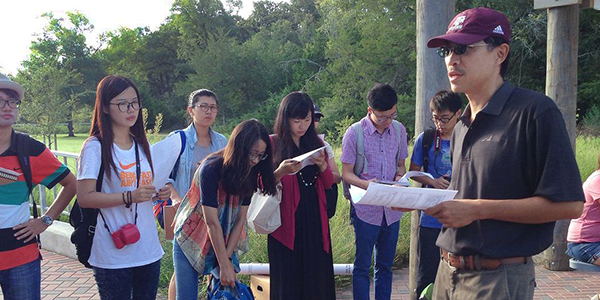 Ming-Han Li, professor of landscape architecture, is on a list of the most admired educators in the U.S.
A global network of design, product and construction leaders named Ming-Han Li, professor of landscape architecture, one of the 25 Most Admired Educators for 2016-17 and ranked Texas A&M’s landscape architecture programs among the nation’s elite. 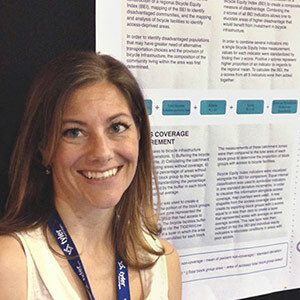 A new planning tool developed by Rachel Prelog, a Texas A&M graduate urban planning student, helps municipal transportation planners determine whether current or planned bicycle lanes in their community enhance the mobility of residents who may not have ready access to automobiles. 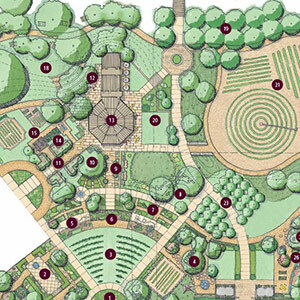 Designs and master plans by Texas A&M landscape architecture students earned their makers most of the student awards presented at the 2016 American Society of Landscape Architects’ Texas Chapter convention. 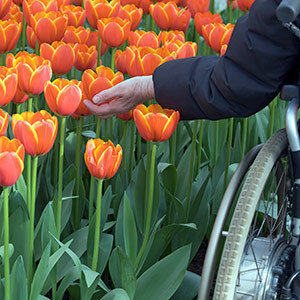 With funding from an AIA fellowship grant, Naomi Sachs, a Texas A&M Ph.D. architecture student, is developing the first set of standardized, tested set of tools to evaluate the effects hospital healing gardens have on patients’ health. 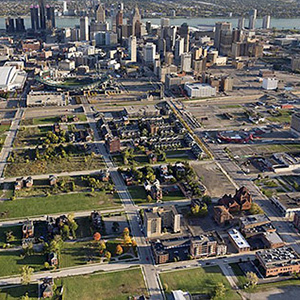 Jon Rodiek, longtime landscape architecture professor, was inducted into the Council of Educators in Landscape Architecture's Academy of Fellows and Forster Ndubisi, former head of the Department of Landscape Architecture and Urban Planning, earned the group's Outstanding Educator Award. 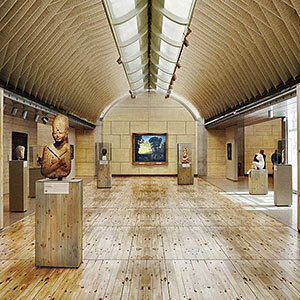 Texas A&M Master of Architecture student Jaechang Ko reimagined Fort Worth’s iconic Kimbell Art Museum in Eastern White Pine to capture first place honors in a design competition sponsored by the Northeastern Lumber Manufacturers Association. 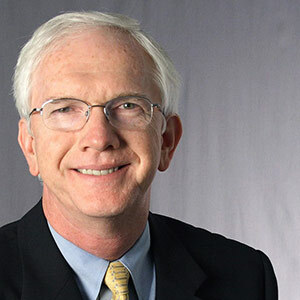 For his many achievements as a healthcare facility designer and educator, Kirk Hamilton, professor of architecture at Texas A&M and founding principal emeritus of WHR Architects, earned the Changemaker award from the Center for Health Design, a group of designers and healthcare professionals. 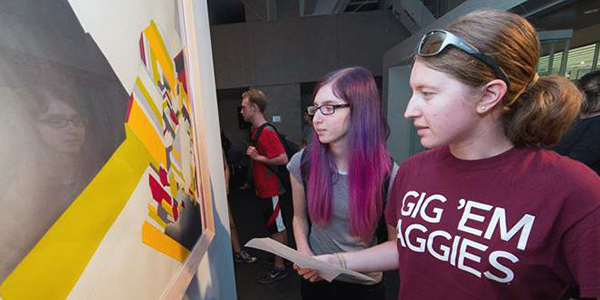 Students look at a drawing in "At the Edge," the Wright Gallery's first fall 2016 exhibit. 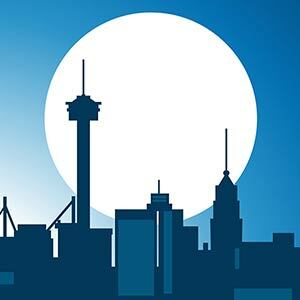 Former students and friends of the Texas A&M Department of Architecture are invited to the annual Aggie TSA reception Nov. 3 at the 77th annual Texas Society of Architects Convention and Design Expo in San Antonio. 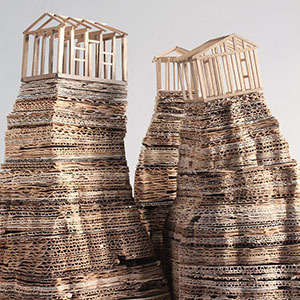 Sculptures by Ohio-based artist Mark Schatz depicting people's attempts to make sense of an indifferent universe will be featured in “True Believers,” an exhibit opening Oct. 24 in the Texas A&M College of Architecture’s Wright Gallery, located in Langford A. 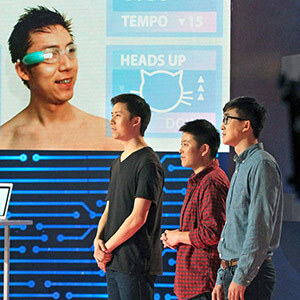 In front of a national TV audience and a panel of celebrity judges, Kai Wu, an Urban and Regional Sciences Ph.D. student, demonstrated SwimART, a tiny submersible computer she and a team of entrepreneurs developed to enable competitive swimmers to monitor their statistics in real time. Students lounge in lot 54 during PARKing Day, a Sept. 16 event calling attention to the need for more urban open spaces. 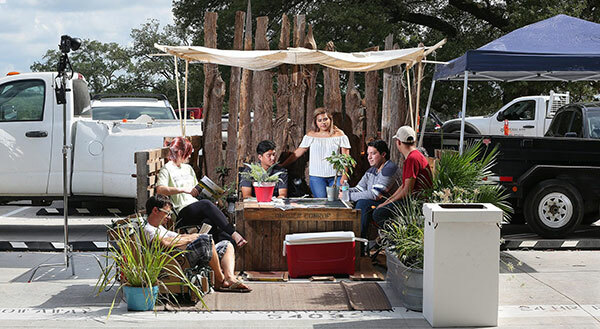 The landscape architecture students, who handed out free water and ice pops to visitors and discussed how to improve the quality of humans' urban habitats, joined people throughout the world who temporarily turned parking spots into human-friendly areas.